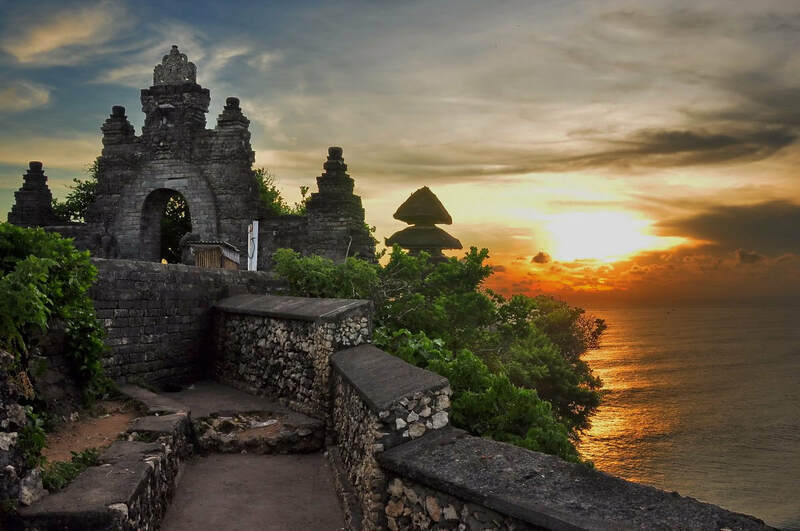 ​Bali Denpasar Uluwatu Tour is Bali Half Day Tour Packages we Designed for you to Enjoy Visiting Denpasar City Tourist Destination and then Visiting Uluwatu Temple and other interesting places. Is great tour packages we created to make your holiday full of joy. The journey will start to visit the Bajra Sandhi Monument in denpasar town, the monument was build to memorize the Balinese People Struggle, and the tour continue to visit the Uluwatu temple in the south of the islands, to see the breathtaking view of sunset in the temple, then we will walk to open air theatre near at the Uluwatu temple to watching the famous Kecak and Fire Dance, is traditional Balinese dance taking story from Ramayana fragment. 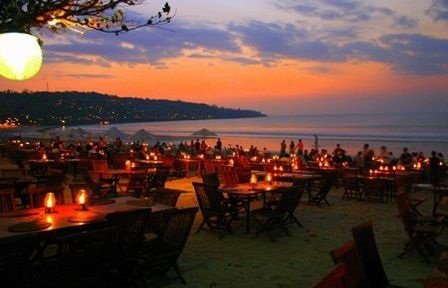 Then after finish watching the dance we will continue the tour to Jimbaran Beach for having Seafood Dinner on the beach, the table will set up on the beach and will make a romantic situation, is very perfect moment for honeymoon couple. This Bali Denpasar and Uluwatu Tour will be more enjoyable with Private Car and professional English Speaking Driver. Below is the description of the price and places of interest will be visit, feel free to contact us if you have any question. Bajra Sandhi Monument is comprising of 33 diorama depicting the journey history from a period of prehistory (300.000 S.M) what its human being still go about and very base on the nature until the period of filling the independence (1950-1975) where Bali Island is built in all areas like politics, economic, and social cultural. By knowing and comprehending of the journey history, soul, and spirit of Bali People struggle from time to time, it is expected the tighten of the spirit and cultural to increase Bali tourism. The Kecak Dance is an especially unique and possibly the most dramatic of all Balinese dances. A combination of dance and drama, the Kecak dance depicts the Hindu epic, "Ramayana," that tells the story of Prince Rama, who with the help of the monkey-like Vanara defeats the evil King Ravana to rescue his Princess Sita. 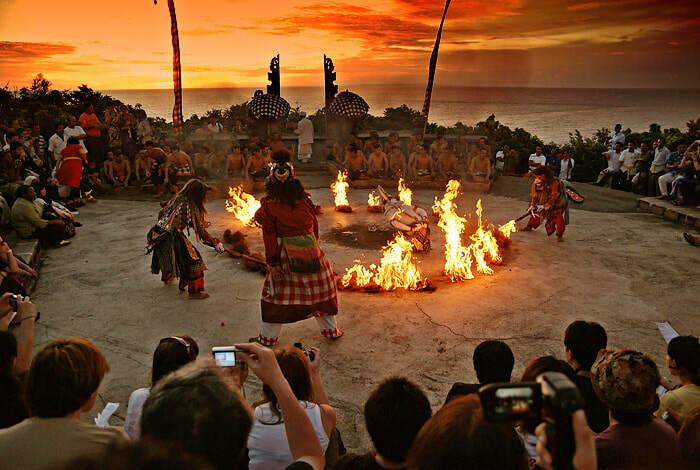 Kecak Dance is always performed just before sunset. As the drama unfolds, the scene is cast in the last rays of the sun when its orb slowly disappears behind the glowing horizon of the sea. Jimbaran Bay Beach is a beautiful beach located in the southern part of Bali with white sand unfolding along the coastal. There are plenty of cafes offer delicious of seafood dinner with breathtaking view of Indian Ocean. It is served right on the beach with beautiful table set up apposite to the ocean. The chefs fire up their outside kitchens and prepare their menus of seafood just as carloads of hungry mouths arrive to watch the sun.